No matter the state of education, good teachers manage to rise above the situation to carry out their tasks of preparing younger generations to face a changing world. In spite of the enormity of their responsibilities, very few are given the recognition due them. Outstanding teachers are given accolades in different ways, and here are a few who received recognition in 2015. Nancie Atwell is the inaugural recipient of the Global Teacher Prize awarded by the Varkey Foundation in 2015. She topped a field of international candidates to gain the $1 million prize money that came with the award, which she immediately directed to her school to fund more programs and teacher salaries. Nancie Atwell has been a teacher since 1973. She is actually a founder of the Center for Teaching and Learning where she still teaches 7th and 8th grades writing, reading and history as well as supporting development programs for other teachers. She has published several well-received books on education and classroom strategies as a way to share her experiences. 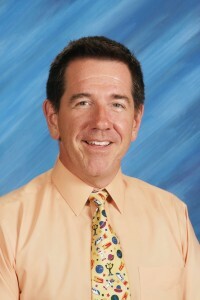 Donn Harrison was the top awardee for the 2015 Top Teacher Search sponsored by the TV show, “Live with Michael and Kelly”. Aside from personal prizes, Harrison also received a bundle of computer and electronic equipment for his school. He is credited with creating district lesson plans for reading and math focused on the formative years. With 21 years of teaching experience, he also works with special education teachers as well as incorporating social values in his lesson plans. He founded DECA, an organization that seeks to enhance students’ leadership skills through mentorship with business leaders. He is a volunteer firefighter, crossing guard and sportscaster during community games. He completed EMT training to make sure that he would be prepared to handle emergencies on campus. Shanna Peeples was recognized as the USA 2015 National Teacher of the Year, receiving her award from President Obama at a White House reception. She has been a journalist, medical assistant, pet sitter and disc jockey at various times. Shanna has been a teacher for 12 years, four of which have been spent teaching English classes at Palo Duro High School in Amarillo, which is a diverse community that includes many migrants and refugees. Peeples is cited as a teacher who goes out of her way to help students who had limited facility with English. many of the students she deals have faced extreme poverty and trauma, yet she helped them succeed in the classroom and in the community. She also spends a significant part of her time coaching other teachers. Kim Thomas teaches math at the Woodruff Career and Technical Center in Peoria, Illinois. She was recognized for developing innovative strategies not only to teach math but to change students’ attitudes toward the subject. She is the 2016 Illinois Teacher of the Year awardee and a candidate for the National Teacher of the Year award. Amina Khalifa El-Ashmawy is one of four national winners in the 2015 U.S. Professors of the Year sponsored by the Council for Advancement and Support of Education and the Carnegie Foundation. Her family was originally from Egypt, and she moved to the U.S. as an eight-year-old, knowing only Arabic and French. Her passion for science stems from a positive classroom experience in chemistry as a freshman at Kilgore College. Amina Khalifa El-Ashmawy understands that students are often fearful of subjects relating to abstract science. Effective classroom strategies include using everyday relatable experiences to teach science topics. Her goal is to captivate students, change their attitudes and help them succeed in science, technology, engineering and math. Teaching is a vocation that does not usually lead to great wealth or worldwide recognition. For many in the profession, the primary reward is seeing students grow and succeed, and these five teachers shine for their winning ways.